New advanced technology that can get you out of those reading glasses today! Quality patient care, precision, and superior results are what you can expect with Dr. Danny Lee. Laser Eye Center is one of Huntsville, Alabama's most advanced, and is unique in that the campus is also home and provides your family a complete range of comprehensive eye care services. Whether you're just looking into vision correction options or recovering from surgery, Dr. Lee's compassionate staff is there to hold your hand every step of the way. They make your comfort a priority and will educate you about what to expect during treatment. Take the Reading Glasses Quiz! Are you looking for reading glasses correction? 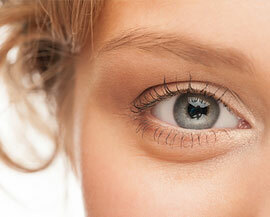 See if LASIK is right for you take our self-test! Click here for our Self-Test! Are you a candidate for premium lenses at the Laser Eye Center? Take our cataract self-test and see if they are right for you! It is the little moments in life that matter most. Don't miss out on them because you vision is blurred, distorted, or impaired. Depending on the severity of your condition, Dr. Lee can reduce your need for glasses or contacts in a matter of minutes. Dr. Lee believes that in order to enjoy the world around you and live life to the fullest, you need to be able to see clearly. His team is committed to continuing their education so they can provide you with only the most technologically advanced treatments like Custom Blade-Free LASIK vision correction, intraocular lens implants for Cataract surgery, or DSAEK corneal transplantation. Laser Eye Center believes in the power of outstanding vision care, and the incredible impact improved vision can have on your life! Contact Dr. Danny Lee's office in Huntsville or Decatur today to learn more. Dr. Lee is the first surgeon to perform, the KAMRA inlay, correction for presybopia (reading vision) in Alabama. To learn more about this new technology click here.